Nice one John. 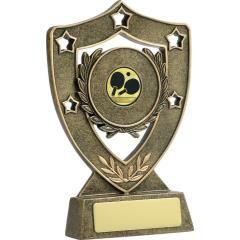 We're pretty sure the best place to get your Table Tennis trophies & medals is at Awards and Trophies. Find everything you'll need for your 'ping pong' presentation, including table tennis trophies, table tennis medals, perpetual trophies and honour boards; Awards and Trophies has your trophy needs covered! We received our medals yesterday and they are perfect. Thank you so much and thanks for your support! It doesn't matter if you're in Sydney, Melbourne, Brisbane, Adelaide, Perth, Darwin (or anywhere else in this vast country or ours), you can enjoy the best quality table tennis trophies delivered to your door on time, at the right price.